A Way To Slay is a non-trivial Android puzzle from the studio Lapp, in which we are waiting for a bloody sword battle. The game received an original design, nice graphic design in a polygonal style, excellent animation and a good soundtrack. In addition, we are waiting for an impressive number of levels, each of which is more difficult than the previous one. The meaning of the gameplay is that we must eliminate all the enemies on the battlefield. Throughout the game, we will meet with knights, ancient warriors, goblins, orcs, pirates, assassins, and even modern bandits. And the locations themselves will transfer the main character from desert locations with sand dunes to fantasy worlds. The gameplay can be called step-by-step, as after each of our actions all enemy units make one move. Our task is to develop an attack strategy in such a way that the protagonist does not fall under attack. Perhaps this game will help you understand how in one of the action movies one positive character successfully throws out a whole crowd of aggressive personalities. Of course, everything is exaggerated, since, in reality, people cannot move at a similar speed, but even the latter does not give the right to win if you use it incorrectly. It’s all about the reaction of the enemy, whether it is timely or late. The fact is that after each of our attacks, all enemies take one step towards the main character. If the latter is too close to at least one opponent, they will kill him. To avoid this, you need to select potential victims at a certain distance from each other. For example, we will attack the extreme warrior on the right and he has a neighbor nearby who also has support at his side. If you choose the nearest enemy next, you will succeed in killing him, but the one who was nearby will immediately finish us off. Because of this, it is necessary to carefully choose such gangsters who are a little apart from their like-minded people. Over time, warriors appear on the battlefield, to whom there is little of a strike and will have to either attack them twice in a row or return to already wounded enemies. In any case, as long as they are not on the ground, they are a danger. A Way To Slay for Android is a very interesting puzzle with elements of a fighting game. The best part is that you can download the game completely free of charge and enjoy the gameplay without any investment. Without advertising, of course, not done, but it appears only outside the battlefield. Step 4. 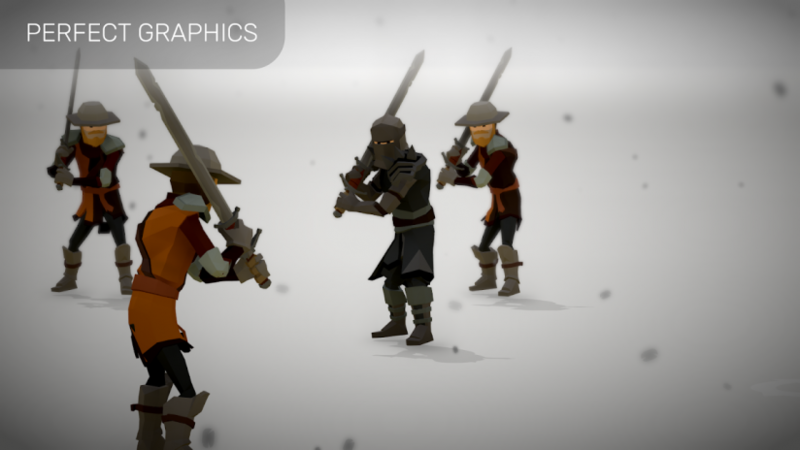 Now type A Way To Slay – Bloody Fight And Turn-Based Puzzle in the search bar. After the search, click “Install” to continue and finish.